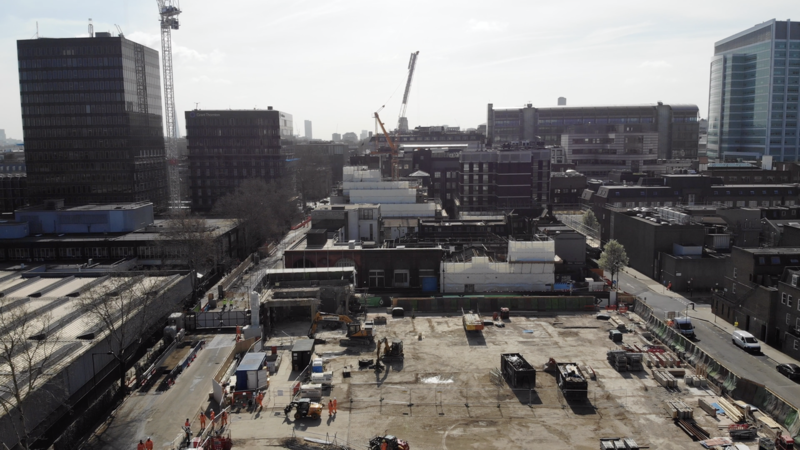 Two massive demolition jobs spanning over months have now been completed with contractors removing around 15,000 tonnes of material to make way for platforms at HS2’s Euston station. Delivered by the enabling works contractor Costain and Skanska joint venture (CSjv), working with subcontractors Keltbray, a top-down demolition technique was used, with machines lifted onto the top of the buildings and protective screening around the outside to limit noise and dust. 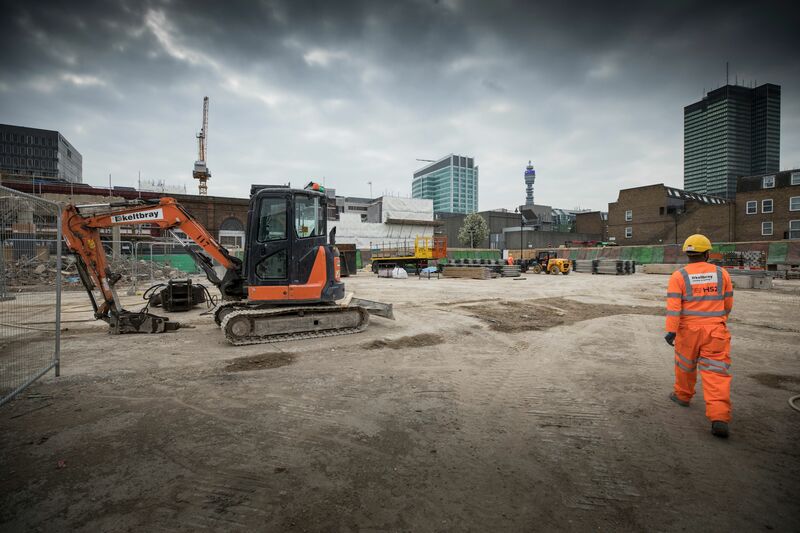 It now means that more than two thirds of demolitions have now been completed across the capital with more than a thousand people now at work on the huge infrastructure project. 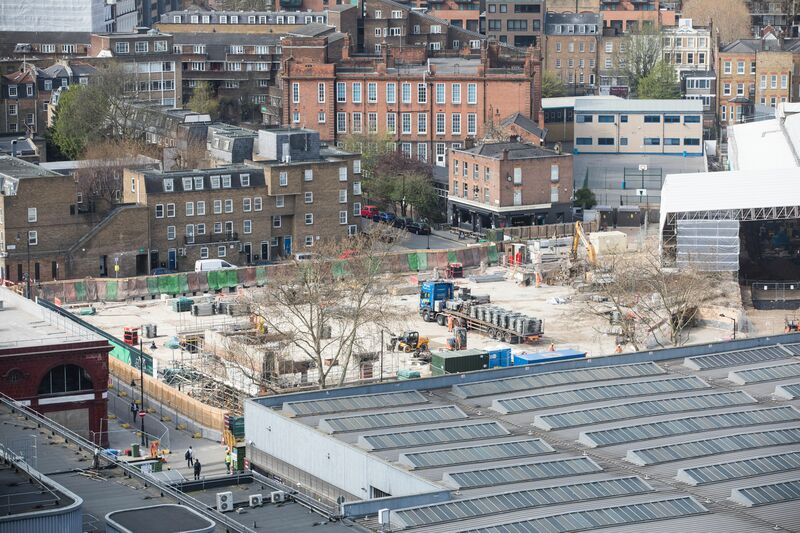 The work at Euston has seen the destruction of the former Ibis hotel on Cardington Street where the five-storey, 380-room building demolition led to the removal of almost 9,000 tonnes of material. The second clearance was the disused National Temperance Hospital buildings with more than 6,000 tonnes of material. HS2 say 95% of the 15,000 tonnes of material will be recycled or reused. Two time capsules, discovered during the work, are being conserved by HS2’s archaeological sub-contractors and will be kept for future study and display in the community.